As you know from the header above I am interested in food, music, sports, family, and changing the world. 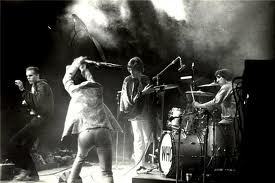 To take this a bit further, I am obsessed with three things; The New York Mets which I blogged about the other day, my family whom I will spare from my blogging as my almost teenage daughter would kill me if I wrote about her, and the greatest rock band ever, The WHO. 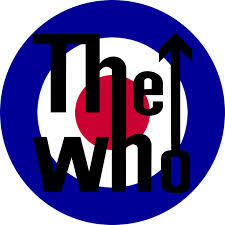 Today is the day for me to (begin) discuss the Who. This is in the context of reviewing the Wikipedia entry for the band, and I promise that I’ll get to that. I chose to review the article, as I likely know more about the Who than any other topic that I can think of. My relationship with the band begins in the mid-1970’s. While I’m old, I’m not old enough to remember the Who of Tommy and Who’s Next. My exposure begins with WPLJ-FM in New York, which back in the days before mass segmentation was the station that EVERYONE listened to. Songs like Baba O’Riley, Wont Get Fooled Again, and Bargain were airplay staples at the time (and still are, especially on TV shows!). Little did I know that this was the start of an obsession that is still going strong forty years later. My first Who show was in 1979 and it left me deaf for three days. I was hooked. Since then I’ve seen the band over 30 times, most recently this past February. While they aren’t the overwhelming force that they were in their prime, they still will rock your world. The key then as now is one thing, passion. The Beatles were cute and sang beautiful songs, the Stones were the bad boys, but with the Who every song, every word was and is life and death. That has never changed! I suppose that this is really my only gripe about the Wikipedia entry on the Who. It is just too much fact and not enough passion. While this is useful, any Who fan knows that facts are just that and they can never capture the essence of a band that created the compelling Love Reign O’er Me. In general the article is an excellent read for someone who wants to get a strong introduction to The Who. It covers the entire length of their career starting from the bands origin in London right up until the present. Additionally, the article serves as a springboard to a large number of related articles covering members of the band, tours and recordings. I found that the contributors have kept a neutral tone to the article throughout. While this adheres to the Wikipedia standard, as a fan I cant help but miss the passion that belongs in any article about the Who. 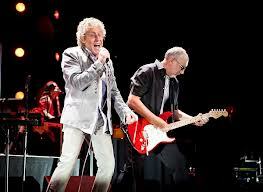 A big missing part is the dynamic between Pete Townshend and Roger Daltrey. 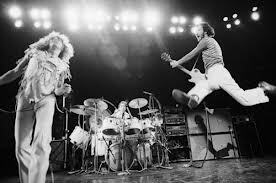 This was and is essential and complicated part of who The Who are. The article uses many sources including books, magazines, newspapers, and other media. The citations are many. I do feel that there is an extreme reliance on two books one by Dave Marsh and one by Tony Fletcher. There is only light use of certain sources such as a biography and an autobiography of Pete Townshend the bands guitarist and songwriter. Additionally, there are 100’s of profiles, interviews, and reviews over the years. This is especially true of anything involving Townshend who has always been one of the most willing and interesting spokespersons of the rock world. By following the Wikipedia Manual of Style, the contributors have given us a well written, fairly comprehensive overview of one of the most important musical acts of the past half century. It’s a great place to start. Perhaps the best thing you can do is click the links on the songs and LISTEN! Then perhaps you will begin to understand The WHO! This entry was posted in Uncategorized on October 1, 2013 by kushnerjr.